Published Sep 15, 2014 by Peachpit Press. Part of the Learn by Video series. This critically-acclaimed interactive training program from Peachpit Press offers exceptional quality high-definition video to teach the fundamentals of logo design. 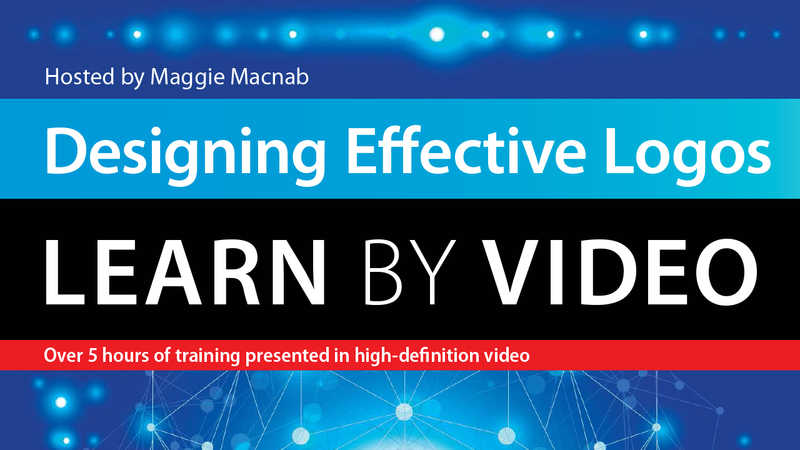 Including more than 5 hours of instruction, this Learn by Video training comes complete with lesson files, assessment quizzes, and review materials. Experienced educator Maggie Macnab explores how to create powerful logos that are meaningful, effective, and substantial enough to scale over time and beyond trend. She explains the basic principles of successful logo design along with the importance of visual storytelling. Macnab also offers practical business approaches to sourcing clients, advice on how to draft a successful proposal, and guidance on how to legally protect your work along with the fun stuff of finding inspiration, exploring software tools, and developing your creative skills as the basis of logos that truly work. The video is wrapped in a unique interface that allows you to jump to any topic and also bookmark individual sections for later review. The unique Watch & Work mode shrinks the video into a small window to allow you to work alongside as you view the video. Project files used in the lessons are included so you can practice what you’ve learned. At the end of every lesson, you can test your knowledge by taking interactive quizzes.